Are you excited by analysing incident data? Interested in emerging technologies? Our Finance Systems Engineering team now have career opportunities for customer driven Service Management Engineers, who ensure the availability of service for our customers and colleagues. You'll be our operational leaders who are able to consider impacts, advise on balancing risks and mitigations and deliver or help us deliver, exciting customer driven solutions for our 15+ million active online customers. Representing Service Delivery, you’ll support Lab Engineering Leads, Product Owners and Product Owners to implement Service principles, disciplines, standards and processes within Labs. Together, you’ll help lead and develop Operational Run capability by coaching others on how to build serviceability into the design and architecture of new solutions, minimising risk and delivering cost-efficient software. With your analytical & inquisitive approach, you’ll provide valuable insights into the performance of existing software solutions - ensuring that Labs prioritise effectively between existing issues and new features from their Product backlogs. You’ll be a great teammate, who is able to coach and support the development of others, whilst providing experienced guidance. You may not know that Lloyds Banking Group (LBG) is the UK’s leading digital bank and its biggest mobile bank - with over 15 million active online customers. 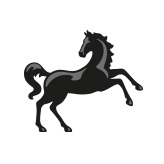 Want to get notified about new jobs at Lloyds Banking Group?